Nate Lanxon, editor and tech correspondent for Bloomberg, observes, "Harry Potter never learned computer code, but a London-based startup plans to help Muggle children do so with the famous wizard’s help." 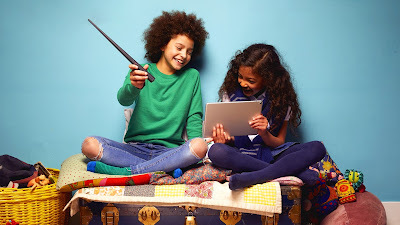 Aspiring young developers will be able to use a new coding kit developed by Kano, which includes a physical magic wand that responds to movement in the hand, to learn how to recreate some of the magic spells seen in the popular movies, such as Wingardium Leviosa and Stupefy. ...Lego Boost was created by the Danish brick-building company’s new CEO, Niels B. Christiansen, in part to give kids access to a new way to learn computer programming, but also to help reverse a slump in sales.